A wedding isn’t complete without a showering of delicate confetti to celebrate the first moments of being a newly-wed couple. 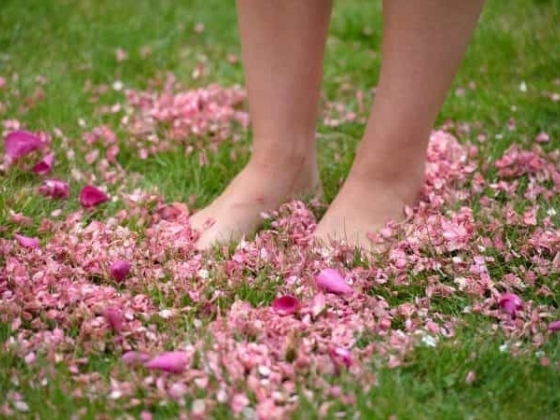 Shropshire Petals grow and produce natural petal confetti on their Shropshire farm where each and every petal is delicately handpicked and hand packed. 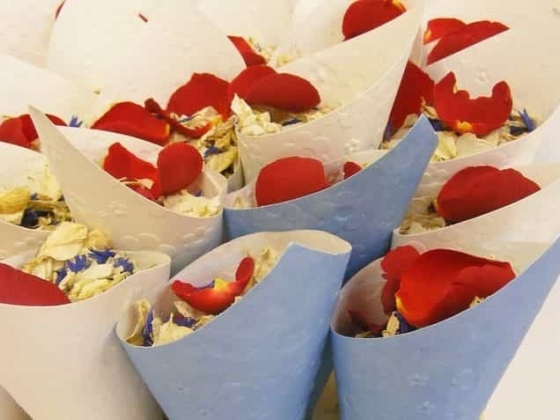 Natural petal confetti is preferred by venues and churches being 100% bio-degradable, eco-friendly and as it is just like blossom from a tree there is no clearing up, making it the perfect choice when choosing confetti. 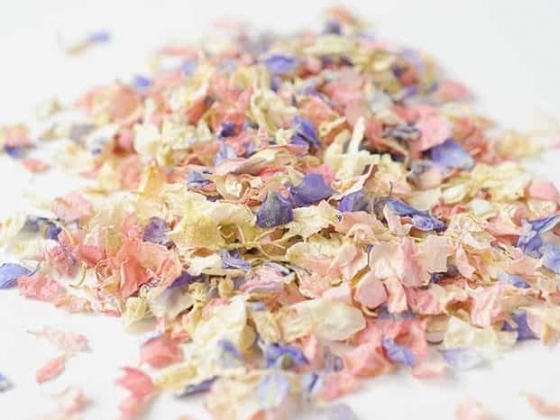 Natural petal confetti comes in a variety of colours and petals. 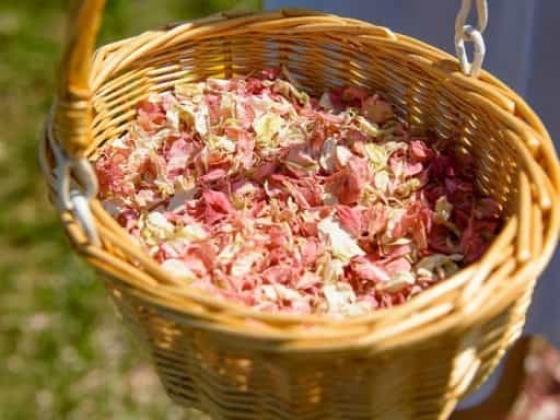 Use the Shropshire Petals pick and mix tool to create your own unique confetti mix. Create mixes to match or contrast your wedding theme or choose neutral colours which look stunning in pictures. 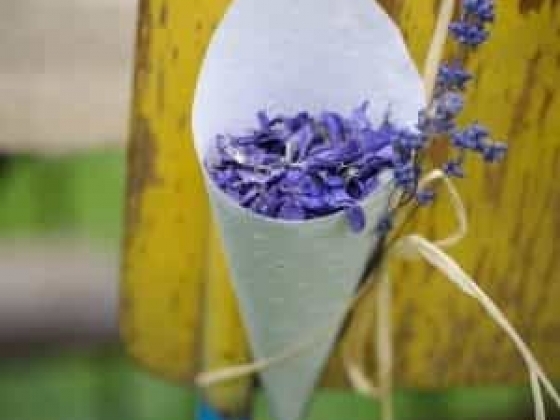 Are you having a country style wedding? 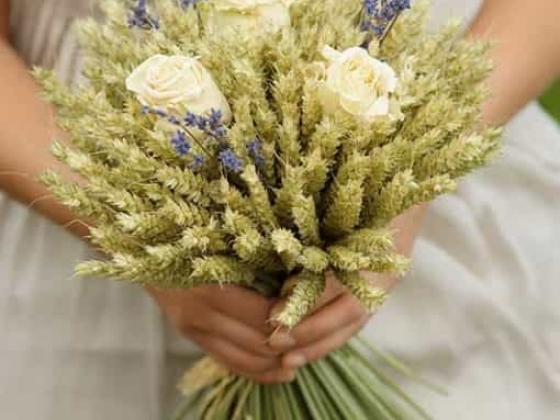 Add a piece of the countryside to your wedding with Shropshire Petals’ Wheat Sheaves, available with roses, lavender, and thistles or just plain – the perfect table centrepiece! 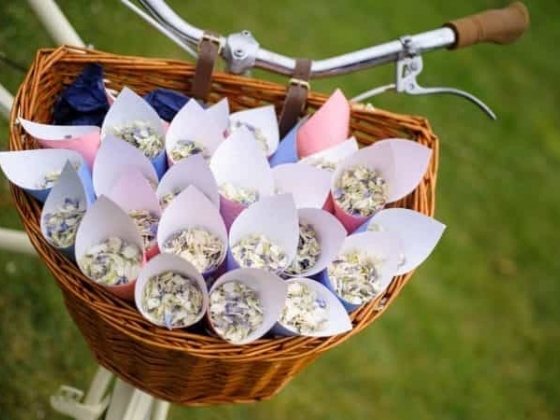 Shropshire Petals recommends for throwing confetti use smaller petals such as delphinium and wildflower. You can mix in some larger petals for added definition and colour. For decorating, use larger petals such as rose or hydrangea. 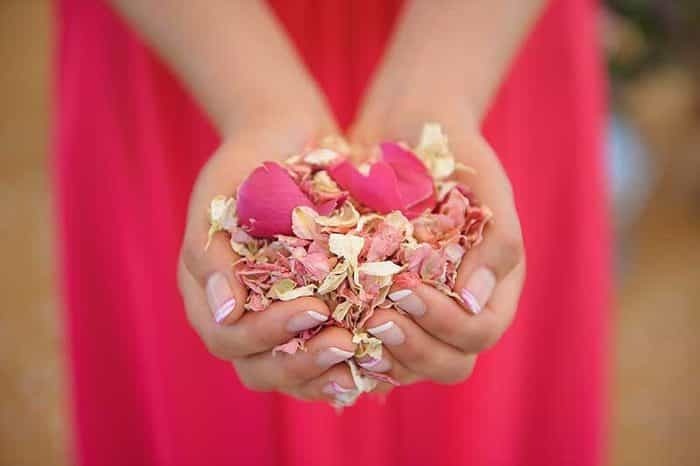 The majority of churches and venues only allow biodegradable confetti to be used – choose 100% natural petal confetti ready for your guests to shower you with on your wedding day. 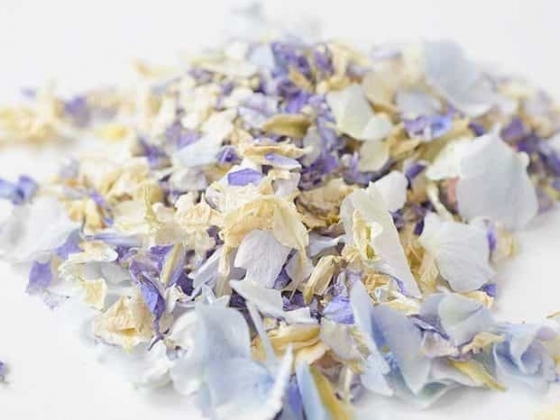 Colour coordinate confetti with your wedding theme or bridesmaids dresses. If you want a bright, bold splash of colour in the confetti shot choose a mix of colours to enhance the effect. 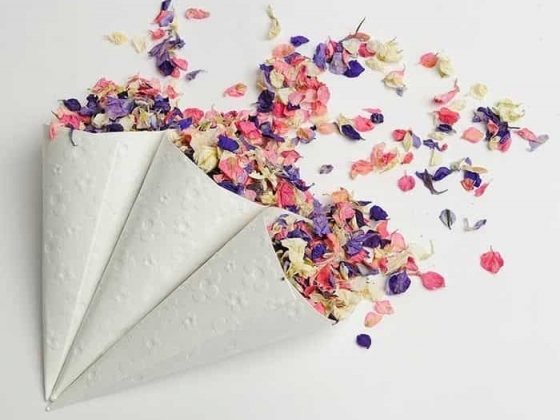 For a more subtle confetti shot, white confetti works wonderfully to add a delicate flutter of confetti. Make sure you have enough confetti for each of your guests to throw a big handful, the more confetti thrown, the better the shot will be. Discuss the location with your photographer before your wedding day; they will be able to decide where to take the confetti shot according to the light and setting. For a full confetti shot to ask your guests to stand close and throw confetti high to create the perfect flutter. Ask your photographer to take the shot from a ladder to get high up to ensure the shot captures all your guests throwing confetti. You could ask your photographer to bring the confetti with them and produce it for your guests at the right time. 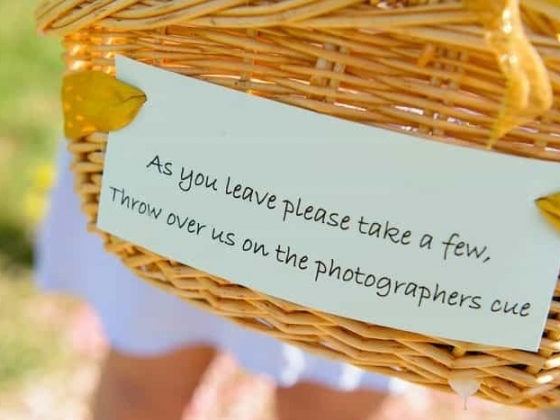 This stops your guests having to worry about carrying it and wondering when to throw it. 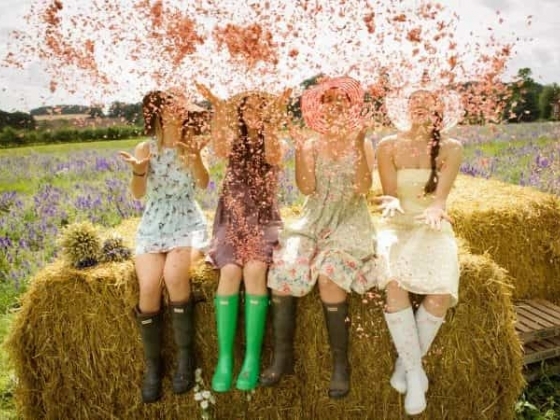 Relax and enjoy the confetti moment! Order your free sample online today!